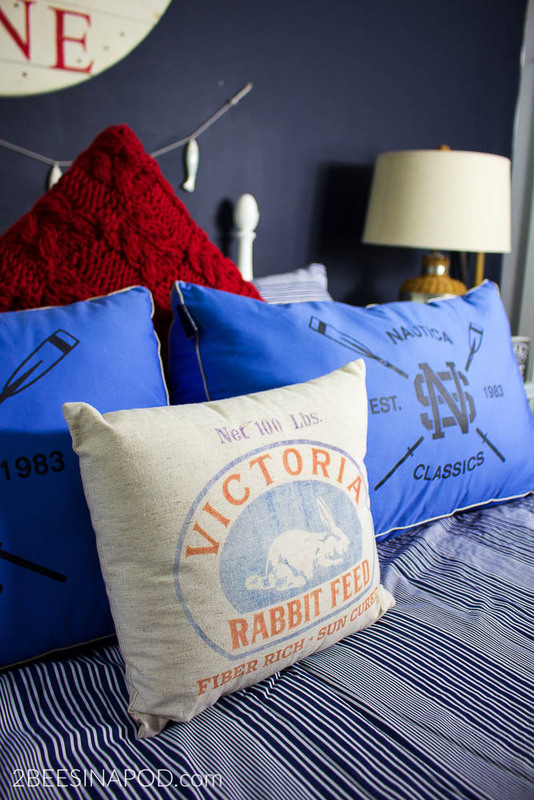 Company is coming – get your guest room ready! It is week 2 of our Room by Room Summer Series hosted by our fab friend Amy of My Life from Home. This week is all about bedrooms. 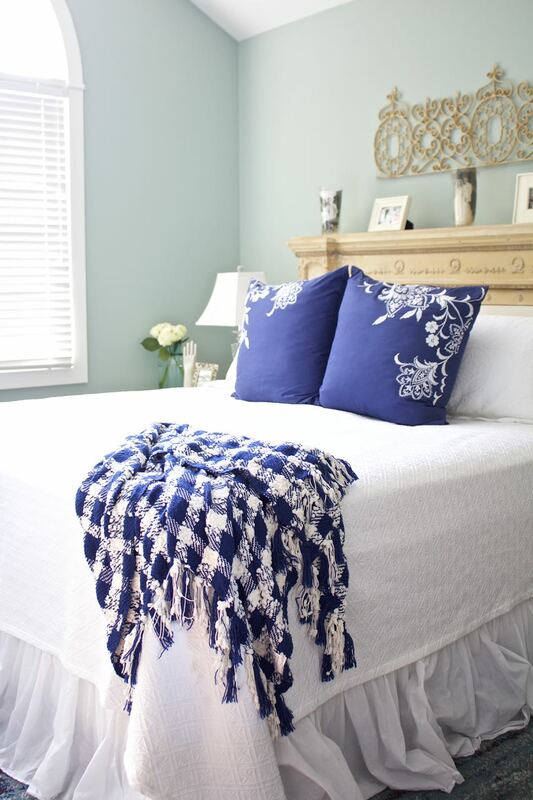 We thought it would be fun and helpful to share ways to get your guest room ready for visitors. 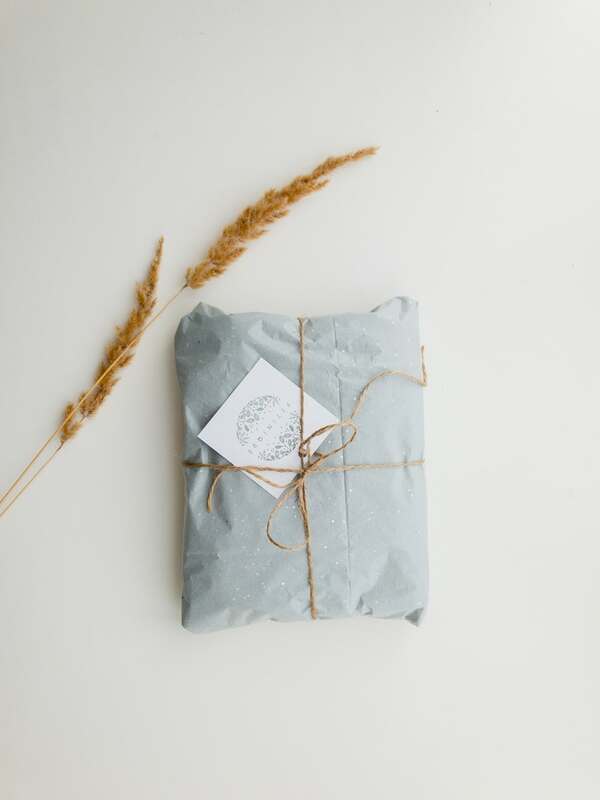 Whenever we have overnight guests, I like to have a welcome bag and gift ready to greet them. This lets them know how much we appreciate their visit. You can never have enough fresh flowers in the house. 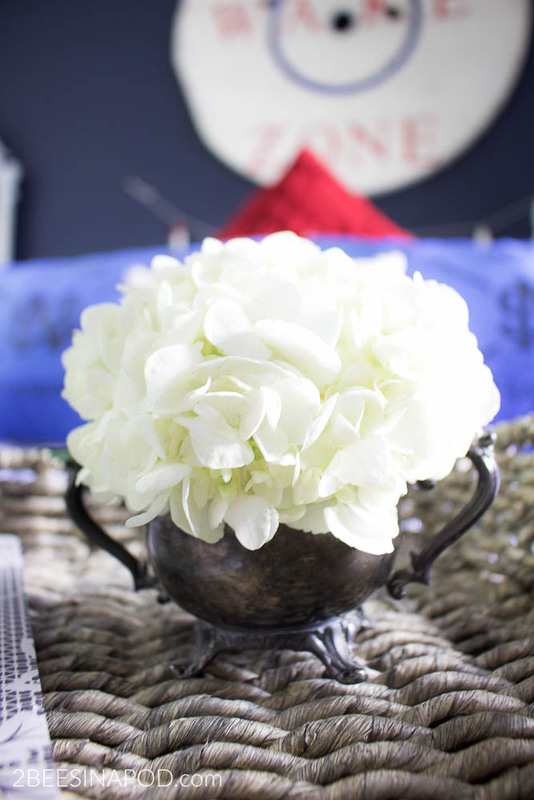 A simple vase with non-fragrant hydrangeas is ideal. Someone might be allergic to the fragrant varieties. In today’s world we all need a WiFi code at one point or another. It’s best to have this at the ready for your guests so that they don’t need to ask for it. This is where we epically fail. There isn’t a lot of extra closet/storage space in the house. Our guest room closet performs a lot of extra duties: seasonal clothing, craft supplies, camera equipment – well, you get the idea. We do our absolute best at making some room for hanging clothes when visitors are expected. Guests always appreciate reading material. Possibly they want to read magazines or a book as a way to wind down at the end of each day. Or maybe they arise earlier than you or stay up later than you do and magazines fill this void. Maybe this is their only time to relax and they appreciate the reading materials. 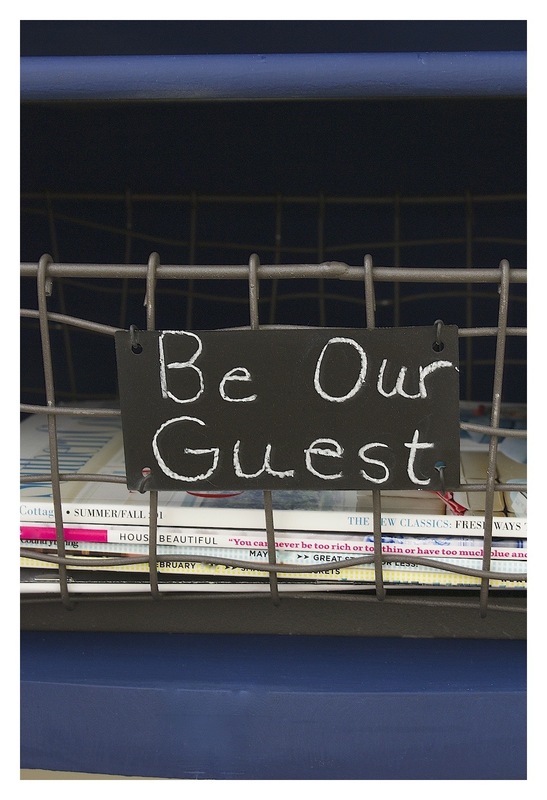 Over the years we have found that different guests have different preferences. Some like liquid soap, while others like bar soap. Not everyone likes the same shampoos, toothpastes, etc. 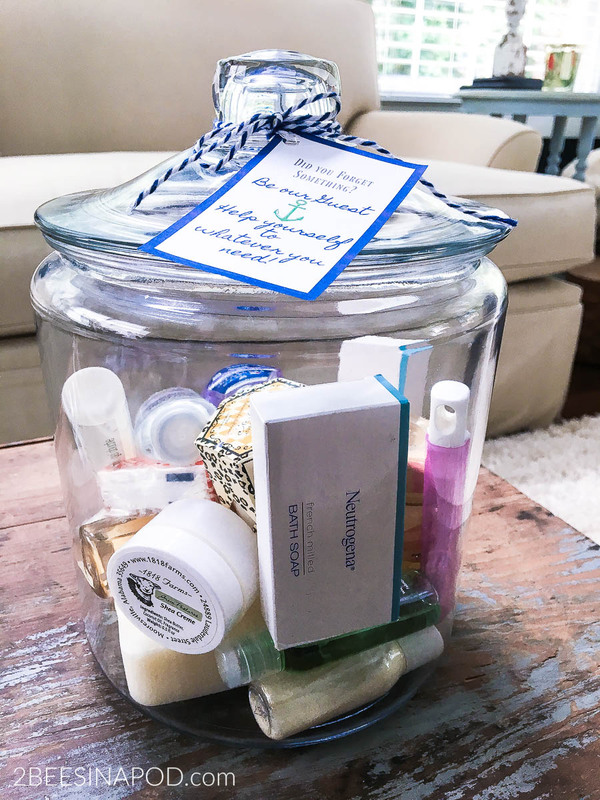 We keep a variety of miniature toiletries on hand so that guests can choose for themselves what they would like. In addition to this, we keep brand-new toothbrushes and razors just in case someone forgot to pack them. Clean, bright white towels are perfect for guests. 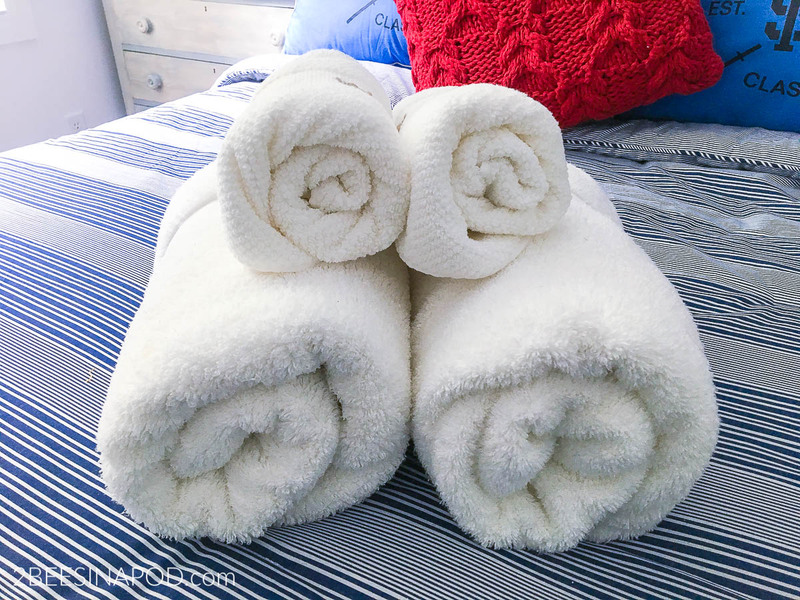 Before guests arrive I usually roll up some fresh towels for them and place them in the guest bedroom. This way they don’t have to go around digging for them in the bathroom. Have you slept in your guest room bed? This is the perfect way to know if the bed is comfortable or not. Outfit the bed in layers of sheets and comforters. Guests can use all of the layers or remove others if they are too hot. Make sure that the sheets are buttery soft and they are of good quality. Personally, I am a big believer in sleep spray. 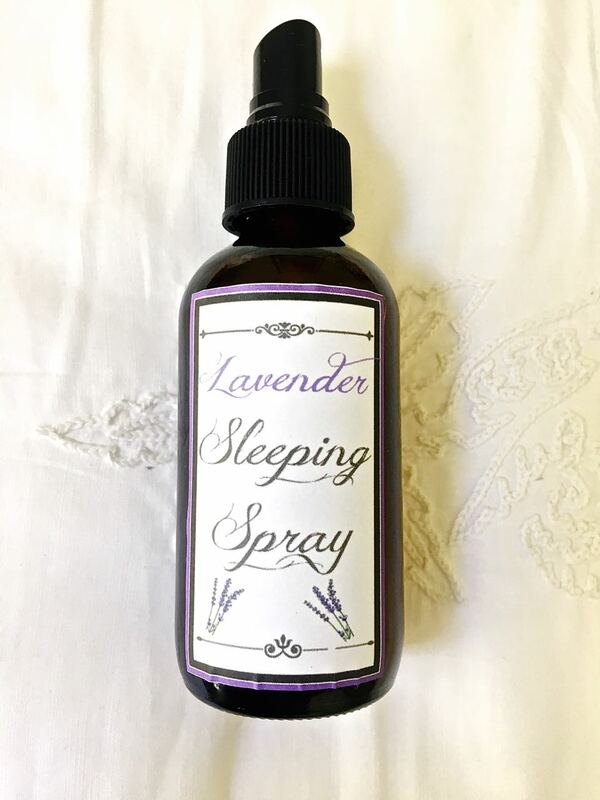 In fact I created this Lavender Sleep Spray and I keep an extra misting bottle of it on the guest room nightstand. If nothing else it makes the room and bed smell pretty. Not too long ago our best friends came to spend a few days with us. They have stayed in our homes many times over the years. We were surprised the first morning to hear that they had much difficulty maneuvering to the bathroom during the night because our house was so dark. Living out in the country we have no street lights or anything else so the house is very dark. 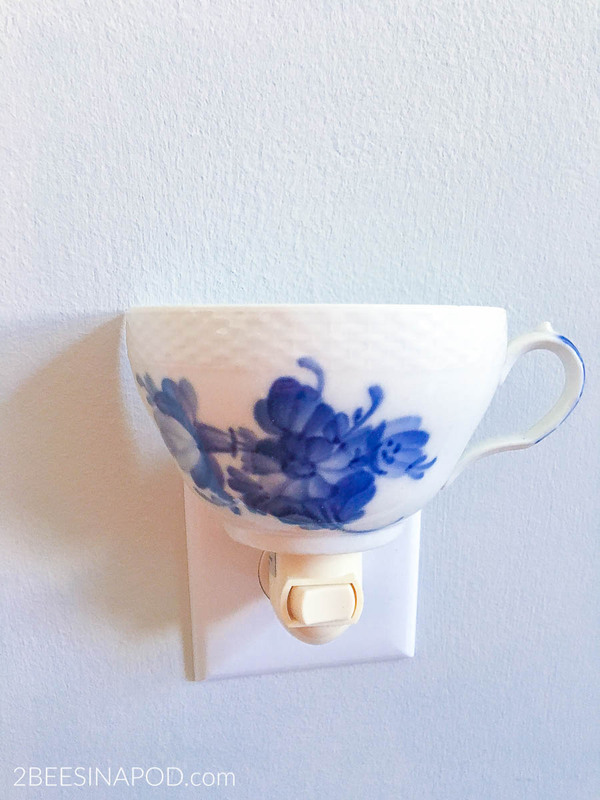 We remedied this by adding a nightlight in the hallway right outside of the guest room. We hope that our tips for how to get a guest room ready are helpful. Did we leave anything off of the list? 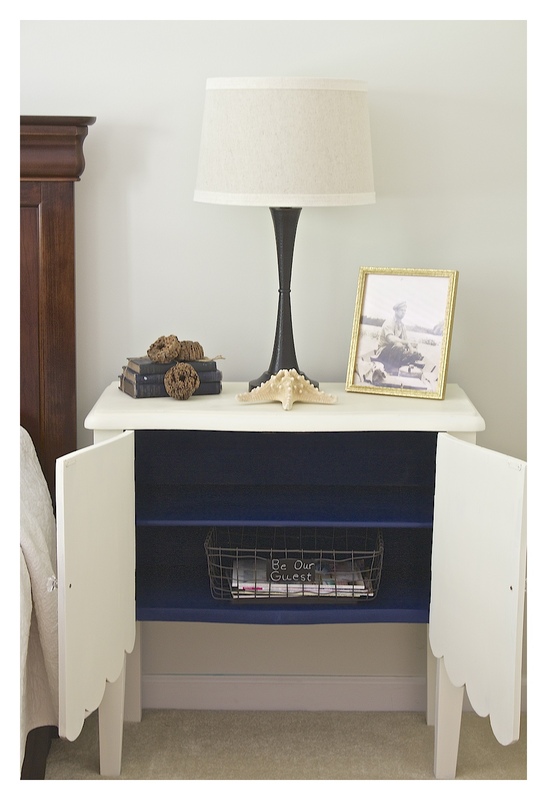 What do you provide in the guest bedroom for your visitors? We would love to know. Remember, visit all of the Summer Bedrooms in the Room by Room Summer Series below. Just click the links. What lovely, practical ideas! I also like to put out a basket of individual snacks and bottled water for guests that are shy about helping themselves from the fridge. Jenn & Vicki, What wonderful ideas. I am sure your guest can’t wait to come visit you. I love all the ideas but the nightlight and gift are two of my favorites. Thanks for the ideas. 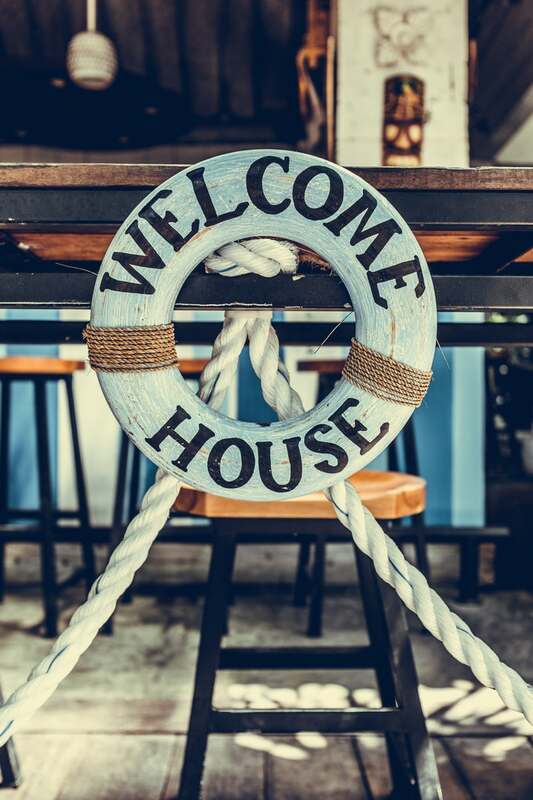 So many great ideas for welcoming guests into a home! 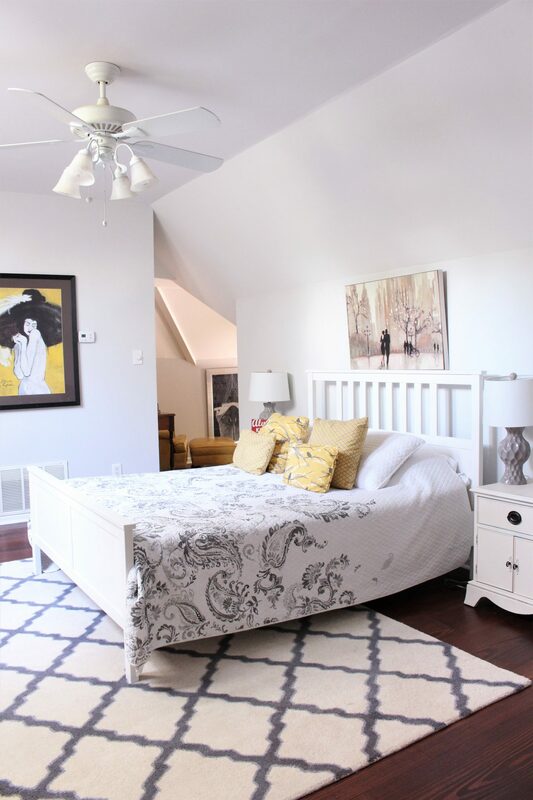 We have been staying in our guest bedroom (it has an overhead fan for cooling us off) and it has given me so many ideas on making the space more inviting for guests! These are great ideas! 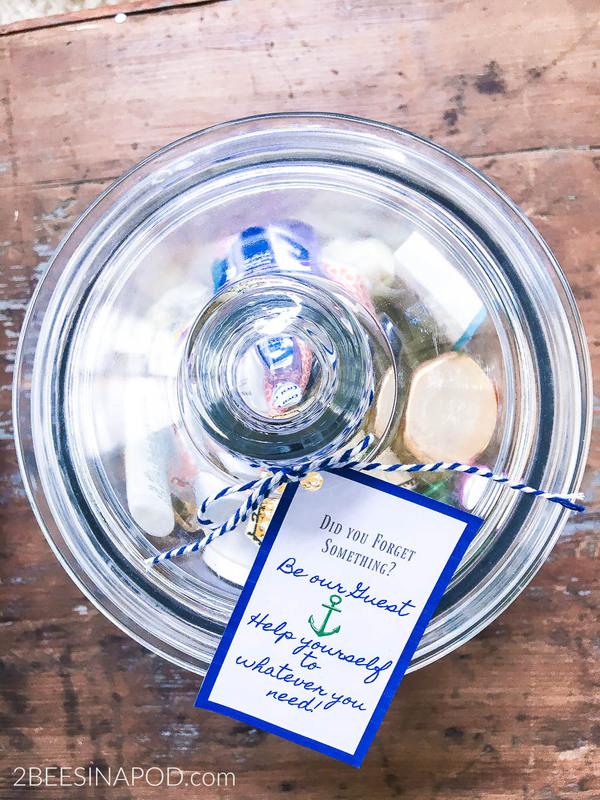 I would love to be a guest in your home, you have thought of everything! What a beautiful space! 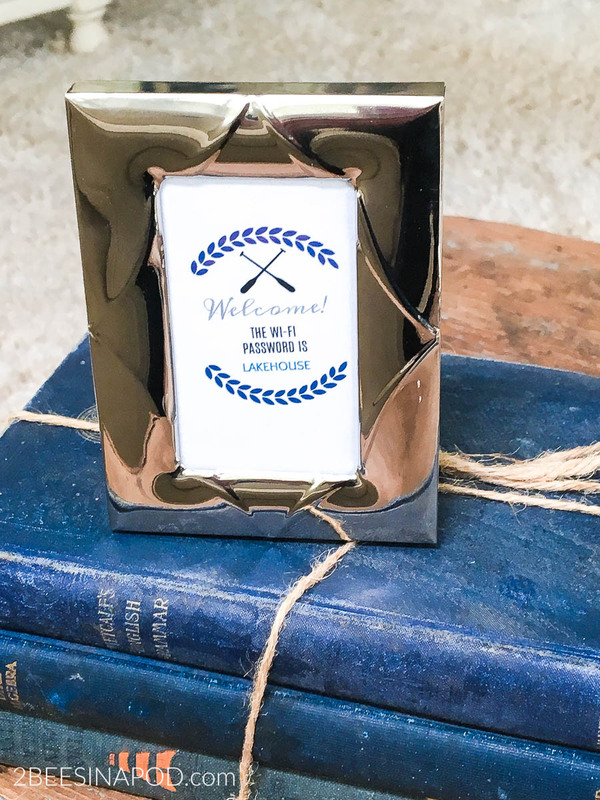 I love all your thoughtful touches throughout to make it a special place for your guests. I’m sure your visitors leave happy and rested in such a beautiful space.